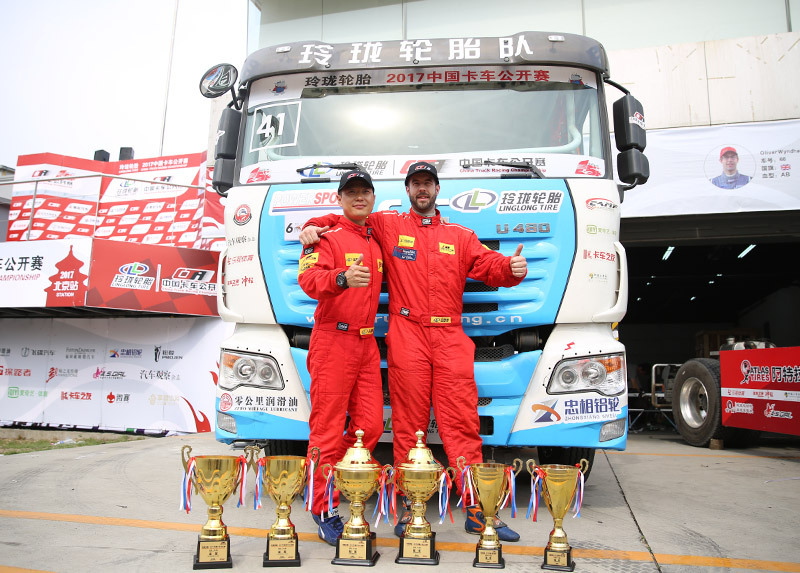 Linglong Tire 2017 China Truck Racing Championship Opened | Linglong Americas, Inc.
From June 10 to June 11, Linglong Tire 2017 China Truck Racing Championship was successfully held in Goldenport Circuit, Beijing, attracting 19 racing drivers from Europe and China. After two rounds’ fierce competition, the team of Linglong Tire won the Team Championship and 12L Group Championship. Wang Li, No. 41 racer from Linglong racing team, won runner-up of the Player Cup. Linglong racing team won tree cups once more! As the official tire of this match, Linglong Tire provides excellent safety, superior control, and strong driving force for the racers to help them get good results. This is the third year that Linglong became the title sponsor of China Truck Racing Championship. With the influence continuing to expand, the match scale and difficulty upgrades steadily. Furthermore, the quality of Linglong’s products get more and more consumers’ recognition.